Hiddleswift? Tiddleston? Swiddlestay? 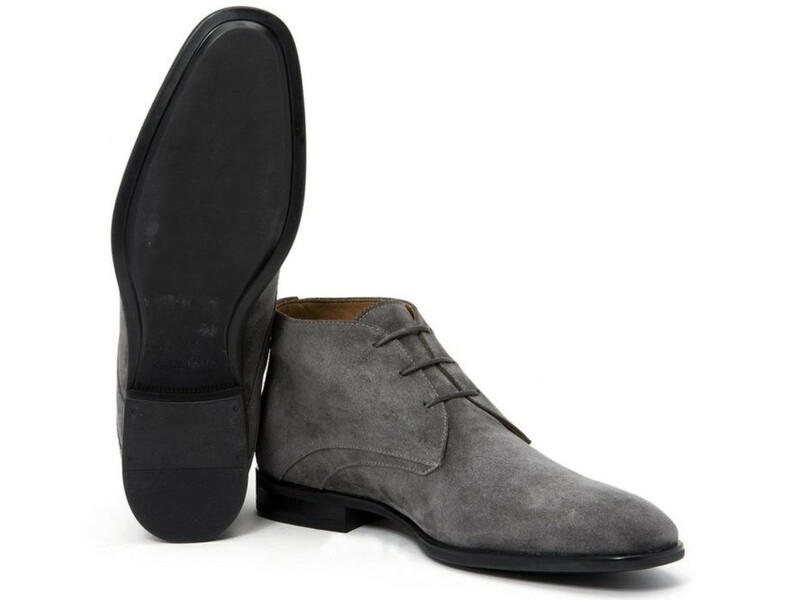 Whatever you choose to call Hollyweird’s celebrity coupling du jour, one thing’s clear: Tom Hiddleston’s main squeeze isn’t Taylor “Shake It Off” Swift, as the tabloids would have it, but rather a pair of gray suede boots by Aquatalia. The British thespian has been spotted sporting the footwear on multiple occasions, including his tête-à-tête with Swift in Rhode Island a couple of weeks ago. Don’t believe us? Page Six has helpfully supplied a rundown of Hiddleston’s whirlwind affair with the $425 Italian-made shoes, which are apparently as well-suited to press junkets as they are rocky New England beaches. Perhaps he could form a club with Jaden Smith. The teenage son of actors Will Smith and Jada Pinkett-Smith is also a one-shoe kind of dude. And in both their cases, less is definitely more. Getty Images knows what’s up. Hiddleston with Chris Hemsworth at Wizard World Comic Con Philadelphia 2016. Hiddleston at the AOL Build Speaker Series in New York City. Hiddleston at the 2016 Tribeca Film Festival in New York City. Hiddleston at Apple Store Soho Presents “Meet The Actor: Tom Hiddleston and Wrenn Schmidt” in New York City. Hiddleswift? Tiddleston? Swiddlestay? Whatever you choose to call Hollyweird's celebrity coupling du jour, one thing's clear: Tom Hiddleston's main squeeze isn't Taylor "Shake It Off" Swift, as the tabloids would have it, but rather a pair of gray suede boots by Aquatalia. The British thespian has been spotted sporting the footwear on multiple occasions, including his t�te-�-t�te with Swift in Rhode Island a couple of weeks ago. Don't believe us? Page Six has helpfully supplied a rundown of Hiddleston's whirlwind affair with the $425 Italian-made shoes, which are apparently as well-suited to press junkets as they are rocky New England beaches. Perhaps he could form a club with Jaden Smith. The teenage son of actors Will Smith and Jada Pinkett-Smith is also a one-shoe kind of dude. And in both their cases, less is definitely more.